Here we are, November 2017 and we had to give our own website a little “facelift” to make it more mobile friendly as well as add more details about the services we offer. We hope you enjoy our new website! Didn’t we JUST do this? Well yes, we did. However, we didn’t feel the old site really provided enough information about our services as well as highlight some of our newer offerings. We also wanted to make sure our site works REALLY well on mobile devices and was fully secured. 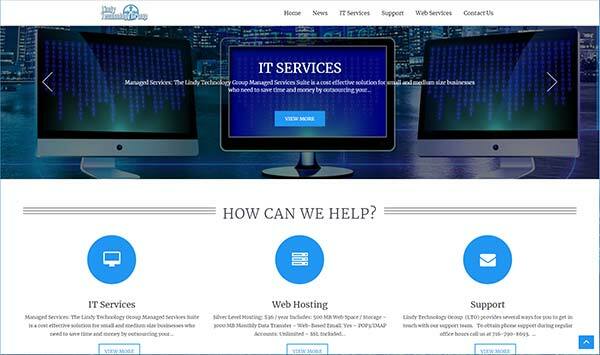 These are a few of the features we offer our customers with our Web Design services. You can read more about our website development and design offerings here. We are also now fully secure with a nice SSL / https site. You can now find a more detailed list of information about the services we offer. Plus easier access to support options including our NEW online support ticket system. We hope you find the information about Lindy Technology Group quickly and easily! If you run into any issues with our site or have any questions please feel free to contact us.